Delegates of the United Nations Environmental Assembly shared their thoughts on the committee, the city of Montreal, and the overall McMUN experience during their lunch break. Lucas Corallo, a second-year student from the University of Toronto Scarborough, comments, “This is actually my first big university conference. I went to Harvard in high school, but there’s a totally different vibe on the university level.” They feel the conference is well-organized and has been running smoothly despite its imposing scale. 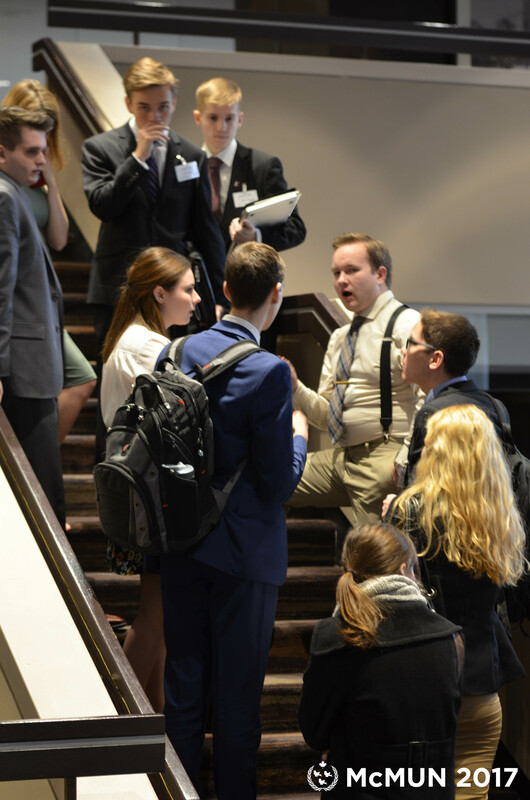 “The chairs went out of their way to cater to new delegates and people who don’t have experience [in Model UN]. That’s really commendable.” Lucas brings us the opinion of the day: he prefers Quebecois French over European French. We conclude with a mindful reminder to use the least amount of paper you can so as to reduce our waste. This has been a public service announcement from the delegates of the Environmental Assembly.